Children and adults alike enjoying playing dress up every October in celebration of all Hallow’s Eve. 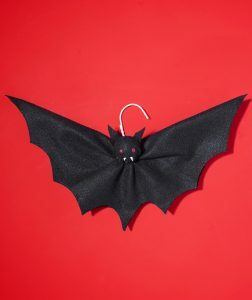 It’s also a great time to have some ghoulish fun and dress up your OPUS home as well. 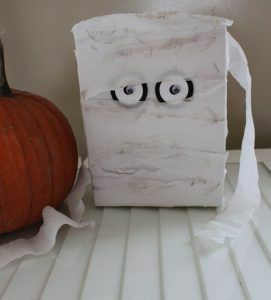 • Wrap boxes (of any shape or size) in fabric or gauze strips, then glue on googly eyes to make mummies that can be used to decorate a mantle, front porch or walkway. • Painted mason jars make great Halloween décor. 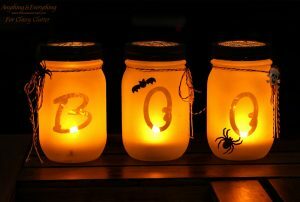 The jars can be filled with candy; used as vases for spooky centerpieces; or as candle holders or luminaries to create a path of ambient light. 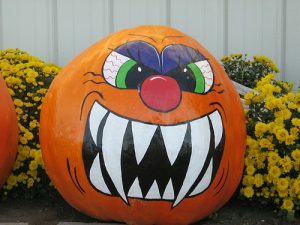 • Pumpkins are a given on Halloween, but carving them isn’t the only way to decorate them. 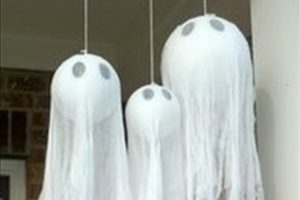 They can be easily transformed into Halloween décor by drawing on them with sharpies; painting them (either freehand or using a stencil); with stickers and decals; with glue and a great pumpkin decorating kit (readily available this time of year) or with decoupage. And who says you can’t also dress a pumpkin up in costume? Masks, hats, crowns, wigs and headbands can also be used to accessorize a pumpkin. 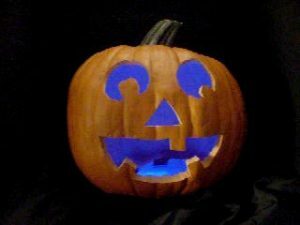 • If it’s a pumpkin lantern you’re after you can go the traditional route of carving and hollowing out the pumpkin and lighting up it with LED candles; or draw a jack-o-lantern onto strips of orange cardstock and fit the panels of an existing lantern with them. • Download scary looking prints and frame them with black, green or orange matting for instant Halloween décor. 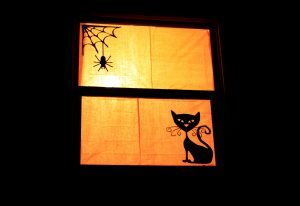 While you’re downloading images look for silhouettes to cut out onto black paper and adhere them to your windows or string them together with yarn or fishing line to make hanging garland. 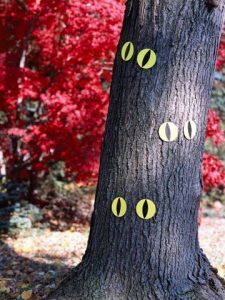 • Outdoors, you can turn your trees into mysterious wooded creatures by adhering eyes to them made from fluorescent green foam circles with pupils drawn on. 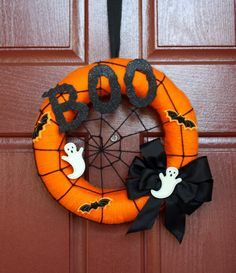 • Make a Halloween wreath for your front door using a foam ring and wrapping it in fabric and adding on inexpensive holiday décor; or cover it in candy corn then loop a piece of seasonal ribbon around it for hanging. • Ghosts can be made in cinch with a Styrofoam ball, wooden dowel or stake and white fabric. Pierce the dowel into the ball then tie the fabric around it, draw or paint on a spooky face and you’ve got instant ghouls that you can stake into your lawn. If you’re really crafty you can take wire hangers (or thick wire) and bend it into shapes or letters to spell out words like “BOO” then wrap them in fabric and voila. There are number of great ways to get spirited this season and have a ‘gourd’ time with the family. 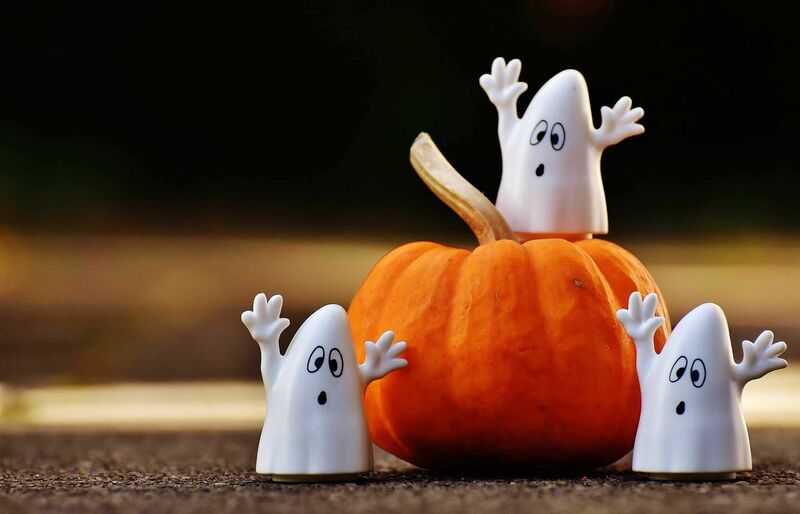 Wishing you all a safe and Happy Halloween from the OPUS Homes team.